The Chalet Les Amis and its surroundings. In the heart of the Alpes beetween LES ARCS et LA PLAGNE. 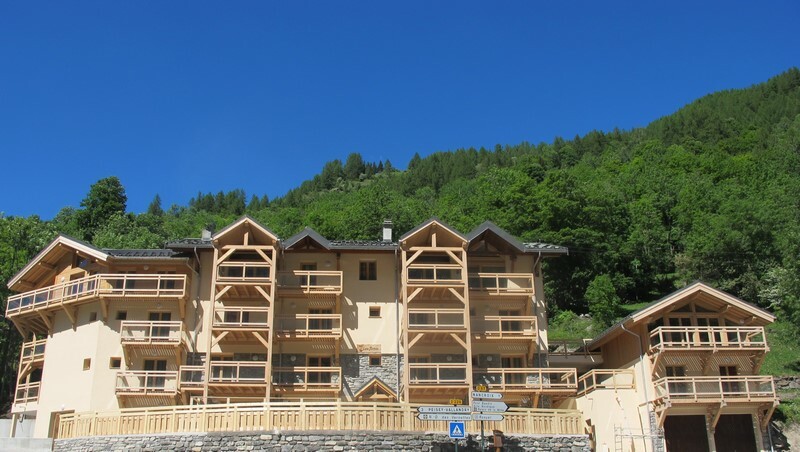 Between the two large ski areas of Les Arcs and La Plagne. On the doorstep of Parc de la Vanoise and the Site Nordique de Rosuel. 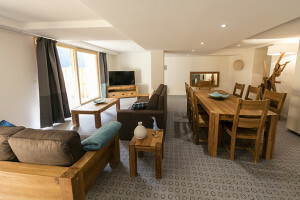 The Chalet Les Amis attracts ski, family walking and hiking holiday lovers in all weather. 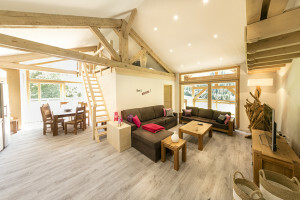 Le Chalet les Amis now offers 6 very large luxury apartments of between 106 and 170m² which will guarantee you a perfect quality holiday. 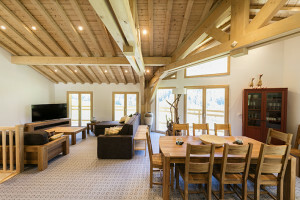 Their wooden, mountain-style décor is modern and cosy yet refined. 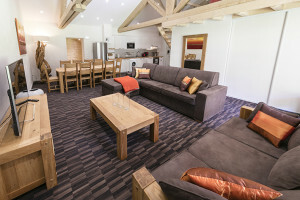 Each rental apartment contains a full range of functional, modern equipment and can accommodate between 8 and 14 people. 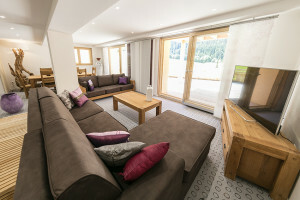 You will appreciate in particular the large, comfortable lounges of between 31 and 59m², all with balconies giving wonderful views over the Nancroix valley, the mountains, Epicea forests and the Vanoise massif, the comfortable rooms with superior quality beds, private bathroom and dressing room as well as bedding and bath linen provided, free, unlimited WIFI in each apartment. 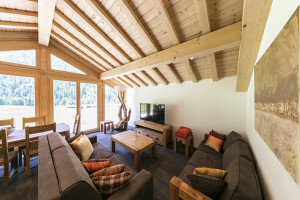 You also have access to a lift, the Wellness center with sauna the ski room with boot driers and private parking for our clientele in front of the chalet. The chalet’s shuttle bus will also drop you to the foot of the slopes during the winter season. All the ingredients are here to ensure that you have a wonderful stay in the mountains!